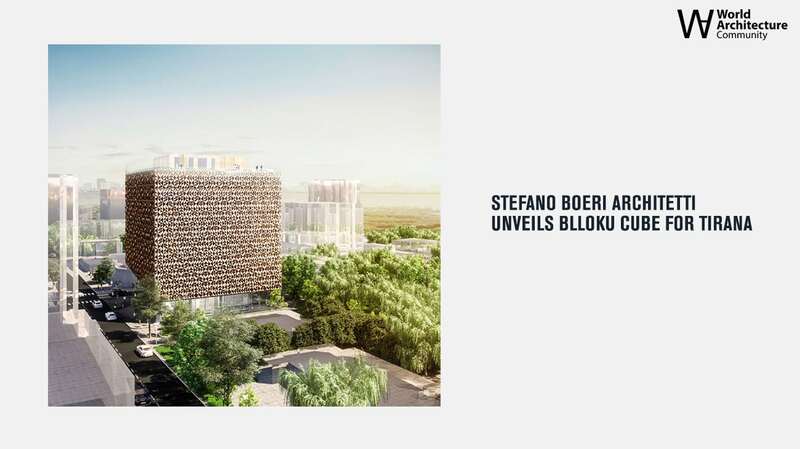 On World Architecture one of the latest project by Stefano Boeri Architetti whcih will be built in Tirana in Blloku district, from which the building takes the name. The Blloku Cube, placed in the south-west area of the Albanese capital, proposes a multifunctional program: the gound floor with commercial functions, a roof garden and five stories of offices. The building is wrapped by a double skin made from anodized aluminum on the outer layer composed by a triangualar pattern oriented in different directions to reflect the light. The cladding sustem gives to the Cube a vibrant and iridescent effect, as well as creating an efficient shading system and improving the energy efficiency. “This particular cladding solution, specifically designed for our first albanian project, plays an essential role in defining the uniqueness of the building and contributes to underlining its importance as a new landmark of this urban district,” added Francesca Cesa Bianchi, project director for Stefano Boeri Architetti.